Should You Use a White or Grey Projector Screen? 25 SepShould You Use a White or Grey Projector Screen? 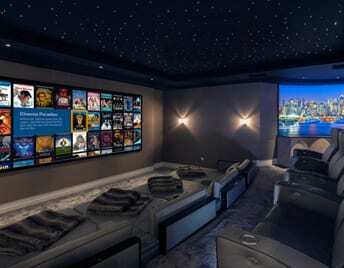 The home cinema is fast becoming a must-have item for many people. Projectors are cheap and effective, and a spare room can easily be turned into a fabulous cinema room at little cost. But which are the best projectors screens and do you get it done right!? It can be disappointing when you have spent your money and the picture you get is poor, and there are a number of reasons why this can be so. The most common problem is with the screen, so let’s talk about how to get the best out of your equipment. So, you have a wide, blank wall that you are going to project your images onto. That’s great, and in many cases, it works perfectly. But there can be problems with this. You might think a wall is perfect, but there will be blemishes in the finish. The tiniest marks will show up through your projection and will be exaggerated. This can be distracting and will spoil the effect you are striving for. Another problem with this method is that you need to pick the background colour of the wall carefully. You also need to make sure the room is completely blacked out, as otherwise, you will not get the contrast effects that you need for a perfect and impressive picture. This is why many people buy a screen – you can get them in various types and sizes – and it really is worth the added expense. The choice here is whether you buy a white or a grey screen – so let’s talk about the benefits of each. If the idea of a grey screen is new to you, don’t worry, you’re not alone! Many who are new to the idea of home cinema systems are unaware of the benefits of a grey screen – there are downsides, too, which we will come to later – so we’re going to give you a quick look at what a grey screen brings to the party, and why you should consider one. The main difference is in contrast and brightness. A lot of this depends upon how dark your room is. If you have a cinema system in a basement – or any other room where there is no natural light – you have the best room possible, as you can completely black out the entire room, and leave the only light source as your projector. This will give you the most impressive results. In a fully blacked-out room, a white screen will provide you with excellent contrast, and you will be able to achieve impressive brightness and get a great picture. So why consider a grey screen? Your projector can project everything but black; black is achieved by not projecting in those spaces. This is why contrast is a potential problem with home projectors and screens. On a white screen in a room that is not completely black, this will result in poor image quality where the darker shades of the image are. Hence the grey screen idea. A grey screen will help you highlight the blacks against the whites, and will give you a better effect in a poorly lit room. However, this does not mean you should rush out and buy a grey screen, as it may not be to your satisfaction. It’s a personal choice as to how you like your brightness and contrast. For example, while a grey screen in a room that is not completely blacked will highlight the darker colours and shades, it will also slightly dullen the lighter ones; white will, of course, appear to be grey. This is why most cinema buffs opt for the white screen and the completely dark room. This depends entirely upon where you put your home cinema system. If you are using a room that you cannot completely black out – a standard living room that you convert for cinema use occasionally, for example – a grey screen will certainly give you much better contrast, as it will highlight the blacks. 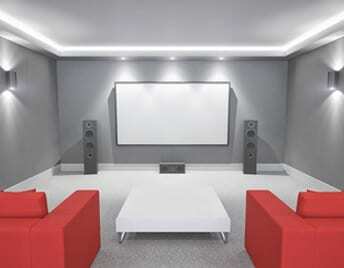 If you have a dedicated cinema room, which of course is preferred, then you may find the white screen does everything you need. If you have a room in mind check out how dark you can get it; make sure there is nothing reflective on the walls – fabric covering brings the best results – and test the room before you buy. This way, you’ll be able to decide whether you need a white or a grey screen for the best effect.